This week, Inner Truth turns one year old (!)  and to celebrate, we’re launching a brand new podcast series called ‘Humans Of Inner Truth’. Stripped back, intimate, and self-told, each month you’ll hear courageous people talk about their own self-discovery experiences, soul-encounters, and stories of personal revelation. If nothing else, Humans is about getting extremely honest about each of our lives, our revelations, and the quest for truth. Humans is here to inform + inspire, to reveal the beauty in the mystery of life, and most of all, to help each of us to connect. In this inaugural episode, Ollie Kristian tells the incredible story of healing from beauty obsession through the use of the plant medicine Iboga. Travelling to the USA, he took a flood-dose of the medicine, something typically reserved for the most chronically addicted patients. The experience and the result was nothing short of remarkable. Got a story you’d like to share for Humans? Get in touch through Instagram or Email.